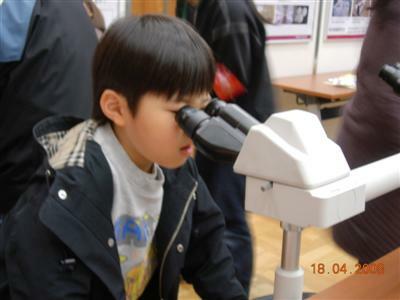 On April 18th, 2008 my friends and I went to NIAH during Science Week in Tsukuba. It stands for National Institute of Animal Health. 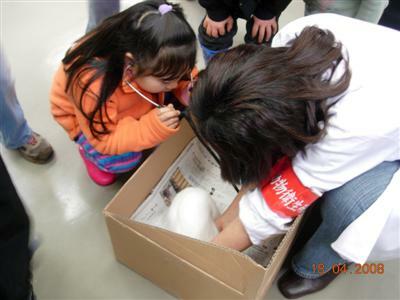 Dr. Yoshi told us that rabbits’ hearts beat faster than people’s hearts. We listened to our hearts beat and he was right! We used a stethescope so we could hear the heartbeats. Next, we learned about animal diseases and how animals get sick. We saw some parasites with a microscope. They looked yucky! I did a survey and got an animal cup. Lastly, I saw black cows, brown cows and other cows. They were eating hay and they said moo moo moo. I was having fun.